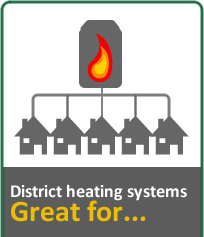 District heating systems are ever increasing in popularity as they cut down the need to have multiple boilers for buildings. The benefit of having one centralised boiler that can supply heat and hot water to more than one property is that it dramatically cuts down costs on servicing work. For example; if 10 holiday lets had their heat supplied by 10 individual boilers then the charge to service these 10 boilers would be a greater cost than just one centralised boiler. The other major incentive to a district heating scheme is backed by the Government. Most district heating projects that are fuelled by renewable energy are eligible for the Commercial Renewable Heat Incentive (RHI). This is 20 year scheme includes a tariff price given to each kWh of energy consumed by a building(s). The annual heating allowance which is available to heat the building(s) is governed by the boiler's capacity. Currently for biomass installations the tariff is set at 7.6p/kWh (October 2014), which is inflation adjusted for the 20 year period. 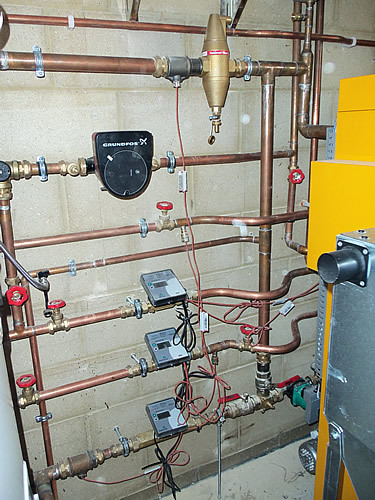 The majority of our installations pay back the cost of installation within a 6-8 year period (dependent on boiler use). 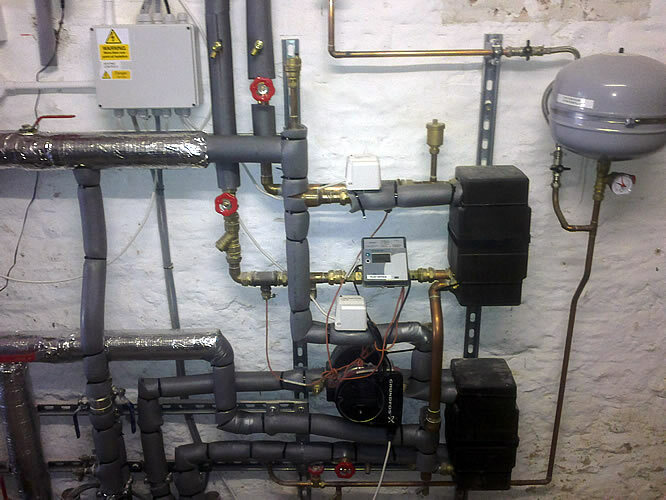 Typically district heating systems are connected to a centralised boiler via pre-insulated underground pipe (Only applicable when there is distance between buildings). Heat meters are installed to determine heat supplied to each building and in turn calculates payment. Any commercial premises that is heated by biomass technology. Any commercial premises that is heating more than one building by biomass technology. Any commercial premises that is heated by biomass technology as well as heating a domestic property. Any domestic premises where one or more domestic properties is heated by a biomass technology provided that the buildings are on separate council tax rates. The other element that is taken into consideration is the fuel cost saving, as biomass fuels are typically cheaper than fossil fuels. Continuing with a fossil fuel heating solution would result in paying more for heating and hot water and being illegible to receive the government backed tariff.